Washington St Manhattan is a great Street to get a unique Photograph of the Manhattan Bridge. I think next time I visit New York I will have to go back for a night shot. 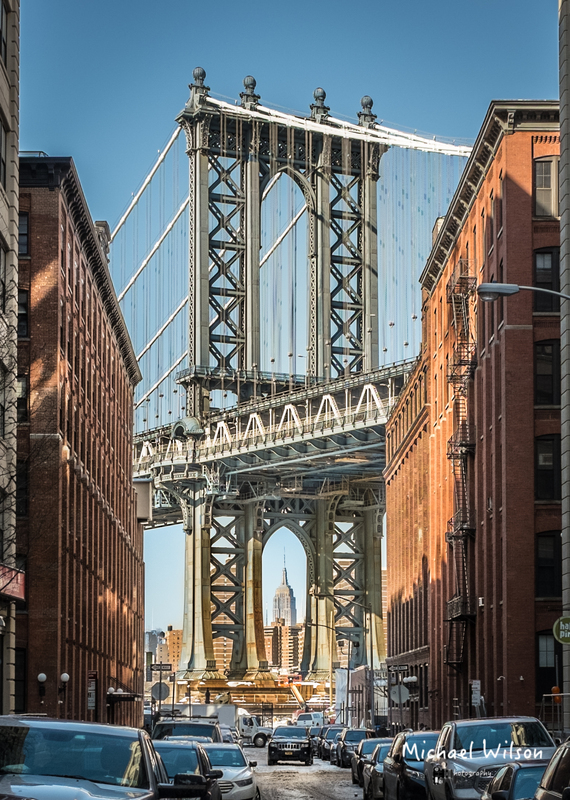 This entry was posted in Photography, Travel and tagged architecture, Brooklyn Bridge, City, colour fx pro, Lightroom, Manhattan, New York, Photography, travel. Bookmark the permalink. Thanks for the correction I will fix straight away, don’t know how I got the two mixed up !, I will look forward to seeing what you do with your photo’s its such a great place just to roam around and find such interesting vies to photograph. Thanks again. Great capture! I need to find this area when I visit NYC again! I’ve never seen that view of NY. Well done! Wow this is framed perfectly. Is this a well known view or did you just happen upon it ? Wonderful photo! That’s Washington St in Brooklyn, not Manhattan.